23 Jan 2019 --- Human civilization has a long history of preserving food. Long before the commercialization of foods and the growth of the global food industry, distinct natural preservation techniques were developed, including those based on plant extracts and spices. Today, adventurous and mindful consumers are driving innovation and new product development in the natural preservation space, expanding the need for natural solutions that are both safe and transparent. At the same time, there is an increasing need for companies to address more authentic and natural products while also balancing the demands for convenience and food safety. What are the driving factors, both consumer and market trends, behind natural preservation solutions? Consumer and market trends such as health, nutrition and anti-aging are influencing innovation and NPD while demand is pushed up by consumers, especially millennials, who are well informed about the impact of their food choices, not only on their health, but also on the future of the planet. The last decade has seen clean label move into the mainstream and manufacturers realize that synthetic ingredients and unnatural additives are no longer acceptable – natural, label-friendly ingredients with good health markers are now the order of the day. The meat and bakery segments are showing steady growth in terms of natural preservation, while pet food is considered one of the latest categories to turn its back on synthetic ingredients. As the food industry continues its deep transformation towards straightforward and natural ingredients while addressing the need for extended shelf life and preserving freshness and taste, it’s important that companies continue to pioneer in this space, pushing forward with sustainable solutions. FoodIngredientsFirst spoke with several key players responding to these trends. Israel-based flavor and fragrance company Frutarom has a portfolio of natural food protection solutions totaling over 150 items. These can all be customized to application, processing and market needs and are effective in replacing synthetic ingredients while providing a good cost-in-use structure. Some of the late Click to Enlargest solutions are label-friendly, cost-effective replacers for BHA (butylated hydroxyanisole) and BHT (butylated hydroxytoluene) that are widely used in fats and oils, as well as in the pet food industry. “We are constantly researching sustainable ingredients with potent active molecules, combining them into effective customized solutions, while setting the trends for the future by closely following market needs and predicting those needs,” Dimitrijevic notes. Cutting down on food waste is another consumer and market trend that is driving the demand for natural preservation, according to Ingrid Damen, Business Manager Biopreservation at DSM Food Specialties. DSM has one of the broadest nature-based preservation portfolios on offer to extend shelf life in baking, beverages, dairy and savory applications. Its history in this space goes back more than 50 years when the company discovered and developed Natamycin, the nature-based preservation solution known under the brand name DelvoCid. “We continue to innovate and build on this portfolio to bring new solutions to the market that address even more applications and end-product specifications. We are committed to extending the current range of protective cultures with new dairy applications. In the future, we will also further extend our nature-based preservation portfolio with additional antimicrobial solutions,” Damen tells FoodIngredientsFirst. DSM’s latest nature-based preservation solution is DelvoGuard, a portfolio of protective cultures that prevent yeast and mold growth in dairy products such as yogurts and cottage cheese,” Damen ex Click to Enlargeplains. “The DelvoGuard range consists of unique culture strains that protect fresh dairy more effectively thanks to their synergistic effects against yeast and mold. Consumers that look at the ingredients list on dairy products want to see just a few recognizable ingredients: milk, cultures and maybe some sugar or fruit for flavored yogurts. DelvoGuard protective cultures enable more appealing, clean-label dairy while extending shelf life and reducing unnecessary food waste,” he says. Damen sees strong growth for natural preservation particularly in premium healthy, on-the-go dairy applications such as drinkable yogurts and yogurt parfaits. The inclusion of fruit, cereals and chocolate means these products have traditionally suffered from spoilage, which can be prevented with DSM’s DelvoGuard protective cultures. Another area where the company sees strong demand for natural preservation solutions is in fruit-based beverages including juices and flavored waters which use real fruit juice flavors. “Consumers want a healthy product with a clean, natural taste. Our DelvoCid+ product has been approved for beverage products in the US and Mexico and is being used successfully to prevent spoilage in natural fruit beverages, without any off-taste that comes from some artificial preservatives. Regulatory approval for this application in other regions around the globe is currently in process,” Damen notes. 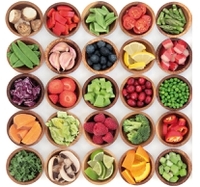 “Our scientists also explore different oxidation pathways to be able to protect food through the combination of various plant extracts with different properties,” she tells FoodIngredientsFirst. Rosemary is also gaining ground on the global market as a safe, natural, effective alternative to synthetic antioxidants and as the leader in rosemary extracts for the food market, Naturex extracts and formulates rosemary in its Morocco factory, close to the wild rosemary habitat. “This proximity ensures high-quality extracts for our customers. To be able to support this growing demand and its worldwide development, the group’s Moroccan factory has been extending its production capacity by adding extraction lines,” notes Bayard. “We are actively investing in R&D, setting up teams of dedicated experts to explore further the area of food preservation. Naturex’s teams include botanical experts, food scientists and application specialists, to source, test and formulate the best ingredients for each application. “All food segments are now driven by the natural trend. 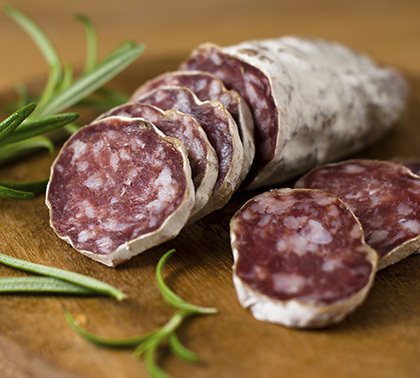 Processed meat is maybe the one which is the most affected, as consumers are very suspicious of label claims. Here natural alternatives are growing at a higher pace compared to conventional solutions. 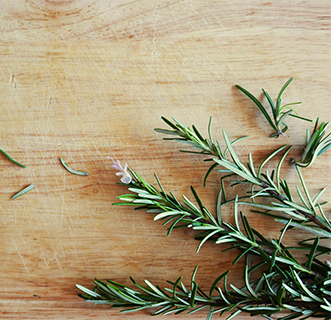 Rosemary has proven its ability to maintain the quality of the product throughout its shelf life as effectively as conventional solutions,” she states. Aside from rosemary, Naturex also helps customers get away from artificial preservatives through its latest development which involves removing conventional antioxidants (such as EDTA) from lipid emulsions. Click to Enlarge“Maintaining shelf-life in products such as mayonnaise and salad dressings presents a significant challenge for food manufacturers. XtraBlend RN is a new, natural synergistic blend that offers successful oxidation management for high-fat emulsions. This proprietary solution delivers a powerful combination of both chelating and free radical scavenging activities – with no impact on taste – to help remove EDTA from formulas,” concludes Bayard. As consumers become more concerned about the processing their foods endure to make it to the table, techniques perceived as more natural help to provide reassurance and preserve or enhance flavor. As a result, a revival is seen of traditional processes, as well as the creation of new ones, which deliver health and taste benefits through a more natural means. The need for natural preservation ingredients and techniques will continue to gather pace and drive up NPD. There remains an abundance of opportunities for agile companies to push the boundaries of preserving food and beverages naturally, with few ingredients that boost health credentials.